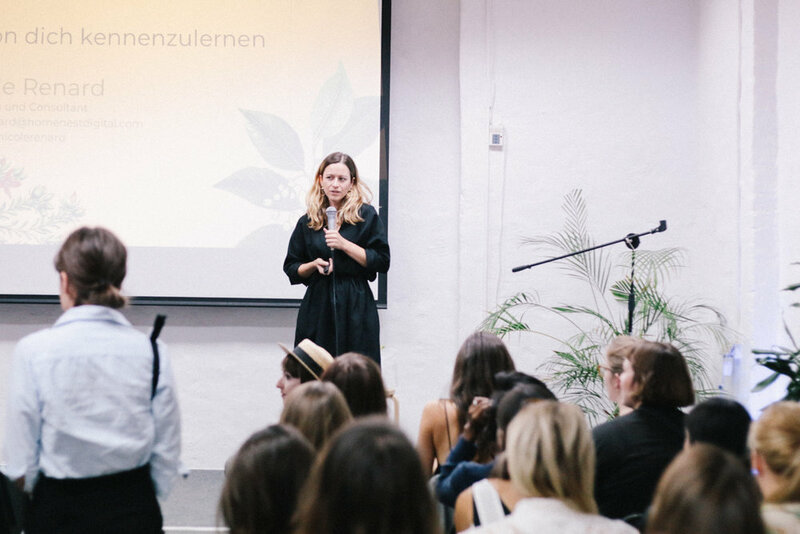 With over 250 people on the guest list for our event at Betahaus Berlin with #FRAUENMACHT we hit a new record! Kati Ernst, founder of period proof underwear ooshi. Crowdfunding Now! 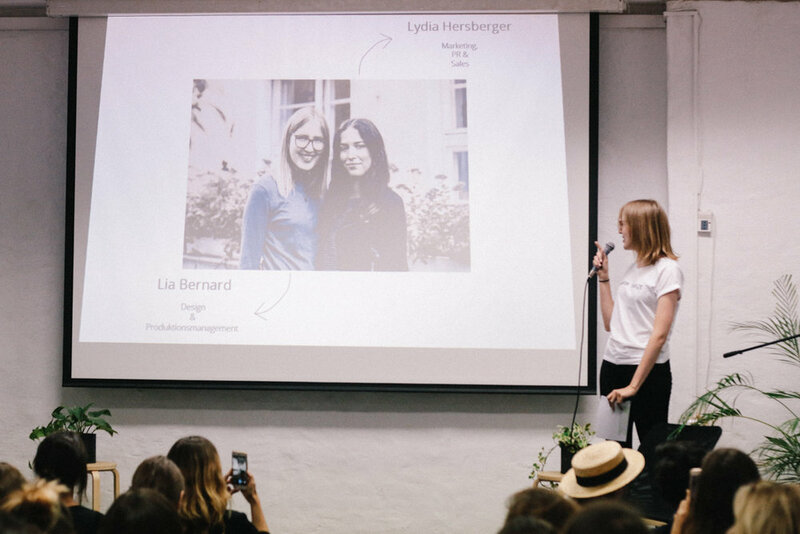 Berta, founder of Walk this Way, interested in creating a fair fashion shopping guide for Berlin. 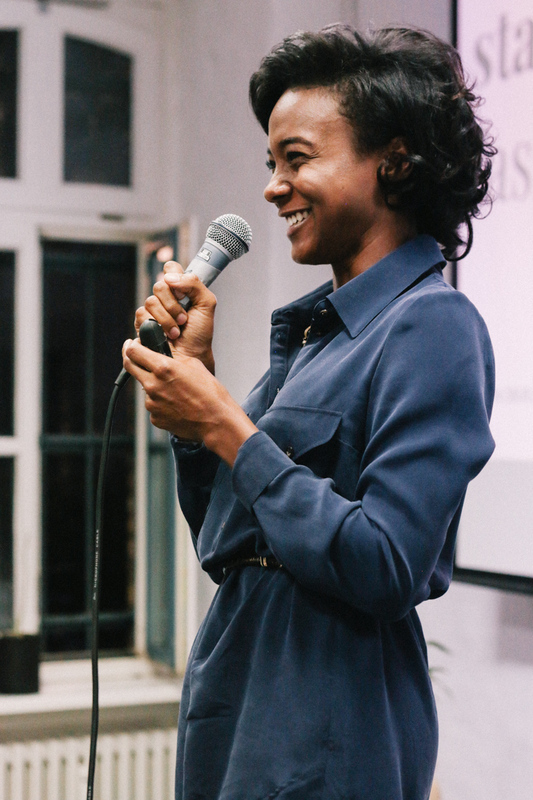 Michaela from the WeWork Creator Awards: Apply here to win up to $360,000 for your start up! Ann Cathrin, founder of Fashion Fika, introduced her exciting new business with wool from dog hair! Mirja, founder of Zeitzeugen und Elefanten -> #upcycling #bags! Anna, founder of sustainable fashion lable for bling people. Caroline and Valérie, founders of local, fair and sustainable bag lable Marin et Marine. Malina Sebastian, founder of Gallery Malina, a fashion gallery & concept store for sustainable and innovative lables. 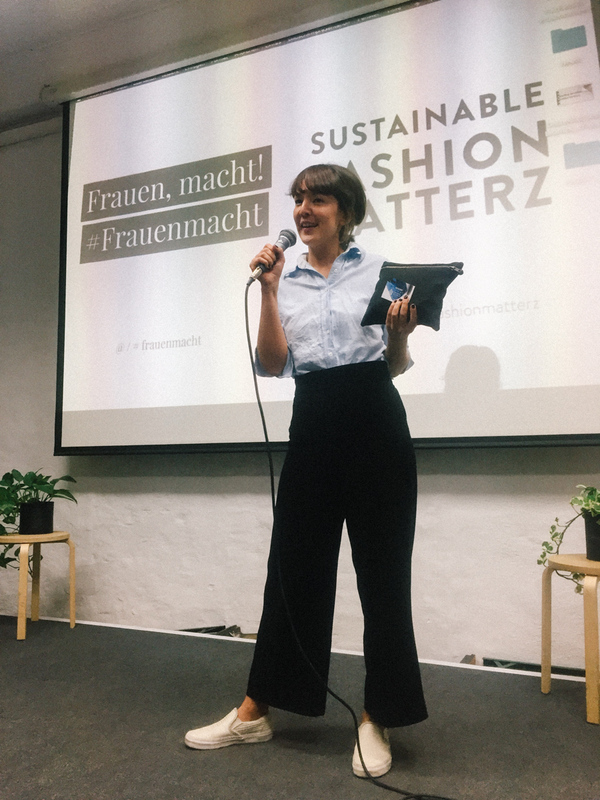 Natascha von Hirschhausen, founder of sustainable brand Natascha von Hirschhausen made an open call for collaborators to join “Designer gegen Rechts”. Azedeh Emami, founder of RENDI, an accessory brand focusing on handmade & handprinted silk scarves. Sina Paries, specialist for self marketing for women -> www.sinaparies.de. Hanna Sin Gebauer, co-founder of DZAINO, a minimalistic upcycling lable specializing in bags. Crowdfunding Now! Do you have an exciting project to share? Leave it in the comment section! We love hearing about what’s going on in the world of sustainable fashion!